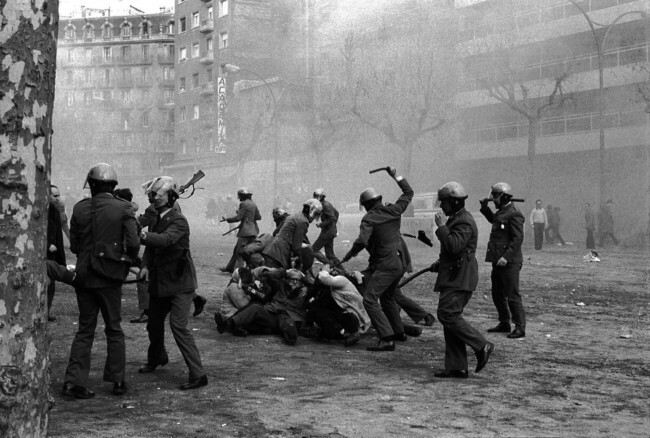 February 1 1976: three months after the death of dictator Generalísimo Francisco Franco (4 December 1892 – 20 November 1975), the Assembly of Catalonia (Asemblea de Catalunya) marched in Barcelona under the banner ‘Libertat, Amnesty, Estatut d’Autonomia’ (Freedom, Amnesty, Autonomy). Local residents’ associations, Trade Unions, political parties (many illegal), along with members of cultural and artistic entities participated. Initially it was peaceful. There was a sit-in on the Passeig de Sant Joan, at the corner of Carrer de Provença. 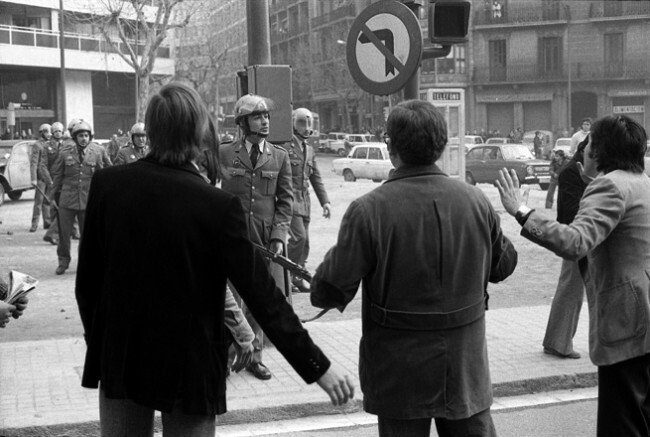 But the Civil Guard and riot police police-threw smoke bombs at the seated protesters and charged them. Later, numerous groups marched through the streets of the Eixample to reach the Modelo prison, where they sought the release of political prisoners. 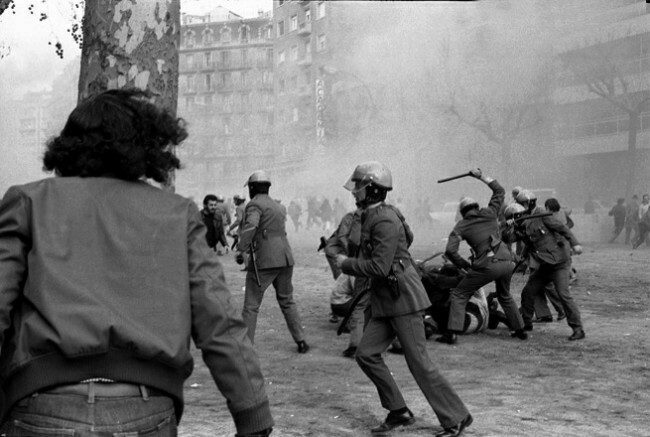 The Civil Guard waited. They were armed with rifles. Manel Armengol had a camera. See many more on flashbak.